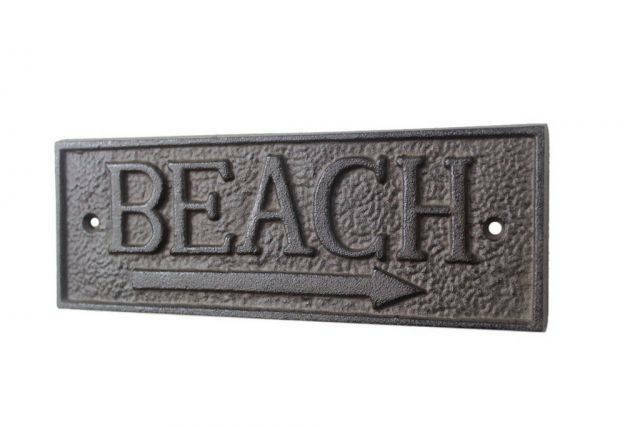 Ideal for posting on a boat, in a boathouse, or any nautical themed room, this brilliant, this Cast Iron Beach Sign 9" brings the comfort and serenity of the beach into your home. 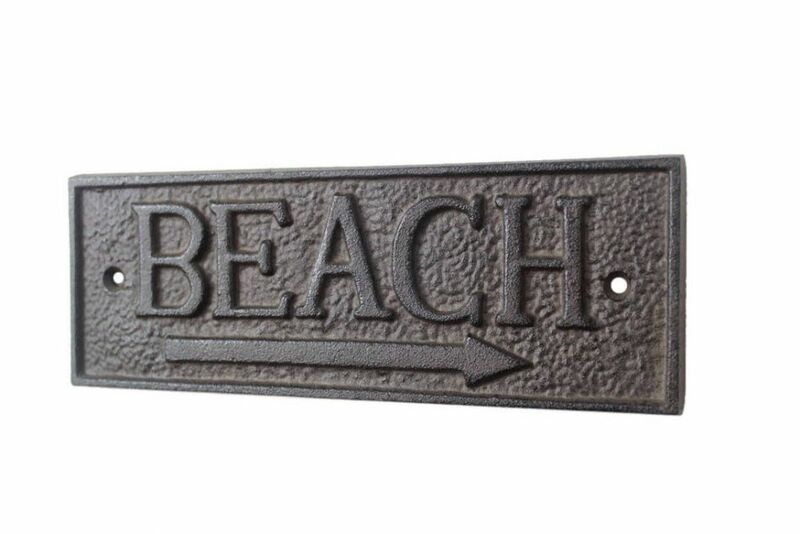 With a textured, rustic framing and body, this cast iron sign allows for easy decorative mounting. 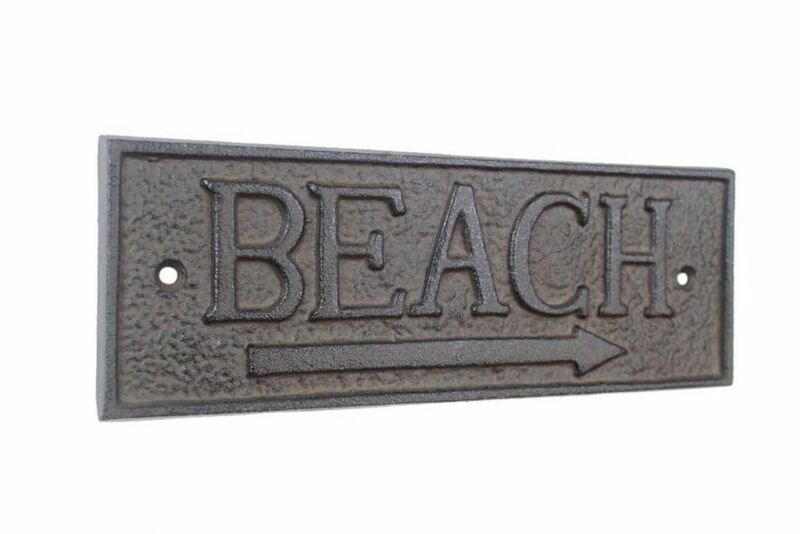 Display this decorative piece in your home and show your affinity for the sea-faring lifestyle to those who visit.